Sometimes in game creation, we have to repeat the same task again and again for every asset we are creating: modeling, uv mapping, texture painting and so on. It can be tempting to try to automatize (at least partially) some of these tasks, especially when some assets are almost always the same ones. 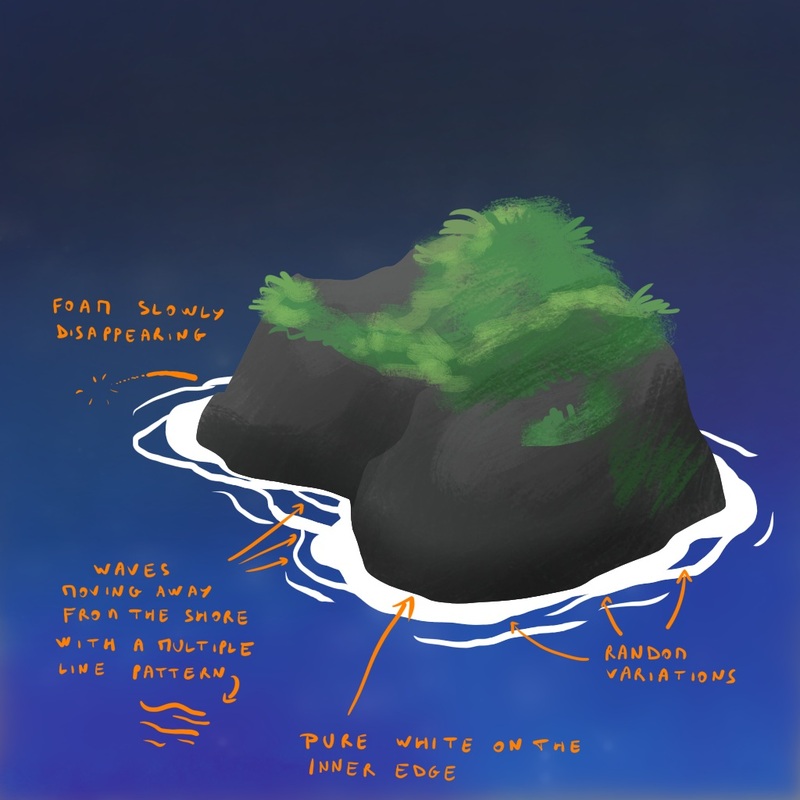 This recently happened to me while working on my adventure game "A Thief's Melody", when I tried to create foam around every island in the game world. I quickly realized that it would be a time consuming task, and I asked myself if I could find a faster way to deal with it. The final foam rendering in my game. Here, I use Unity as a game engine, Blender for modeling and texturing, and Krita to paint textures. My game takes place in an ocean-covered world, so having foam on the shores seems necessary. My biggest problem here is that my game is still being modified and island shapes may change or new islands may appear. So, I want to find a way to create foam easily and fast enough. Moreover, I may change the designs many times for a single island, and I don't want to have to re-create foam meshes from scratch every time. A while ago, some friends pointed to me the Rime VFX breakdown video by Simon Trümpler. There are many incredible tricks in this one. The foam in particular is very well crafted, and the effect is stunning (as long as you go for a stylized rendering of course). The only problem I saw with this approach is that it is a bit daunting to create seamless uv maps for each foam mesh. Indeed, in Blender, when you want a ring/circular mesh to have a seamless mapping, you need to perfectly align manually the uv map so that the image repeats itself without breaking the pattern. It's OK for a single asset, but for many unique islands and rocks in my game, it's more than I can handle. 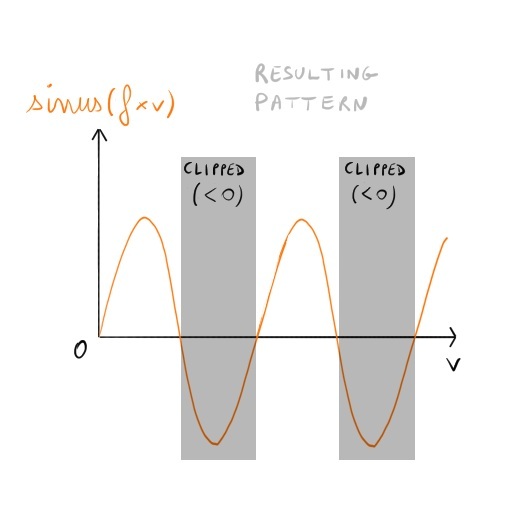 In addition, with cyclic seamless uv mapping, if you need to tweak the wave length afterwards, you can't scale texture coordinates as you want; you are limited to integer multiples. I have to find something else. Process of scaling uv map to get rid of the seam. Perfectly matching both sides of the seam can be quite long for many assets. An easy way to create foam in Blender, with as few clicks as possible. Ideally, I would like to only handle modeling, and no uv mapping at all. Easy parameter tweaks in order to change wave length, speed, or look. 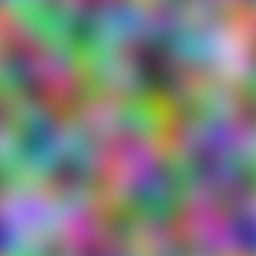 In this texture there is a strong global direction (horizontal). The corresponding in-game look with world coordinates doesn't work. OK, this is better, but it's still a bit stiff and disappointing, but that's the price to pay for an automatic method. Anyways, it doesn't seem to be enough to get visually interesting foam. Now, if I want some lines along the shore, or the foam moving towards (or away from) the shore, it is absolutely mandatory that I have an additional "direction" information embedded in the mesh. This is also necessary to make the foam "vanish" when it is far away from the shore. This specific direction changes for each rendered triangle, so I need to encapsulate it in a way or another on the mesh vertices. 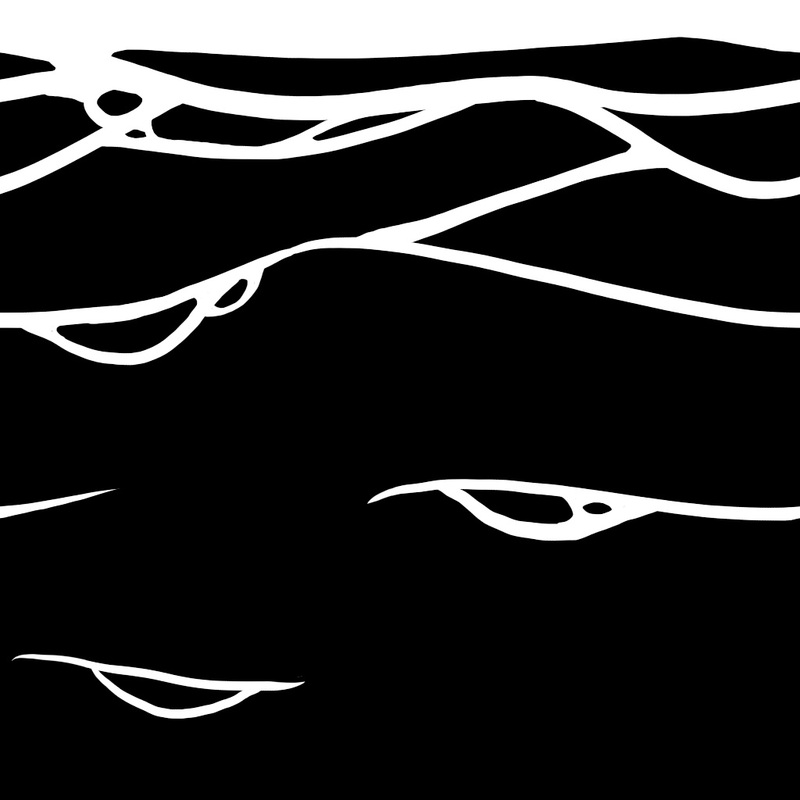 Thus, I guess I still need to use a basic uv mapping to specify this "shore direction". To achieve this, I only need 1 texture coordinate, which I choose to set to v (see picture below). The idea is to have v=0 on the outer edge loop of the foam (the "sea side"), v = 1 on the middle edge loop of the foam (the "ground side"), and v = 2 for the edge loop that will be "inside" the island. The basic texture mapping. Here I don't really care about the seam problem (you can see it at the bottom of the mesh). I only work on the v coordinate. So the movement towards or away from the shore will be built from this simple texture coordinate. 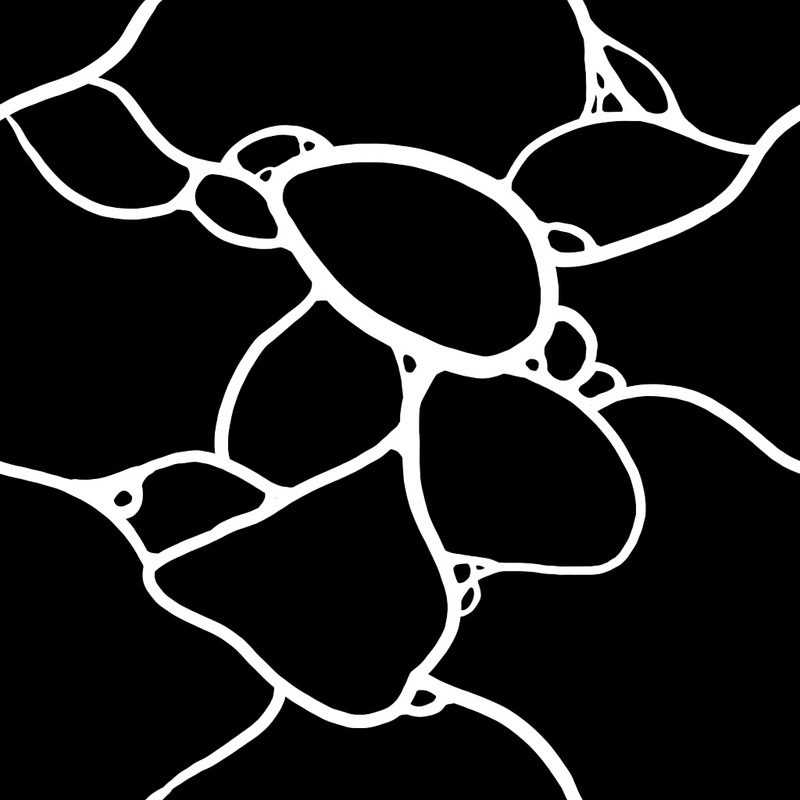 The easiest way to create the famous "foam lines" is so use a sinus of v. To make it move, I offset it depending on the current time and the wave speed. 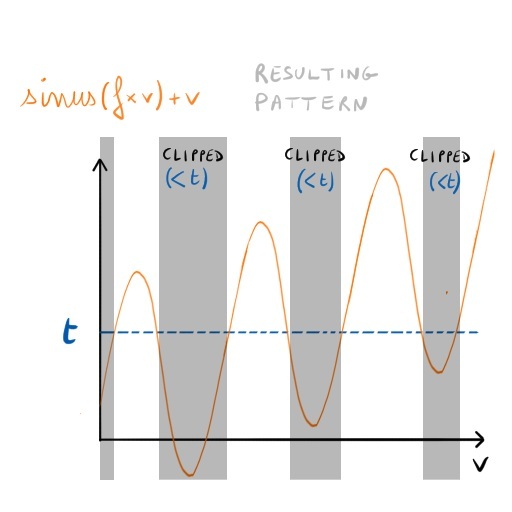 Keep in mind that, in order to get sharp edges, I clip any fragment value below a certain threshold. Seamless noise made with GIMP. Adding (world) noise to frequency: sinus((frequency+noise(xz))*v + speed*time)+v; where xz are the world horizontal coordinates. See how some zones get more foam lines, while other zones get fewer. The generated sinus part seems to work quite OK, but I think it still misses some "connections" between the foam lines, and, to add them, I need to rely on world coordinates. 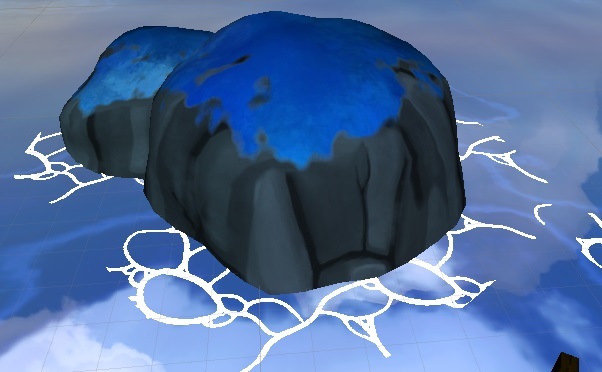 I could use world noise to add these connections, but I wanted to try a more controlled approach by using my handmade texture on top of it. Mixing the sinus procedural waves and the hand painted texture. 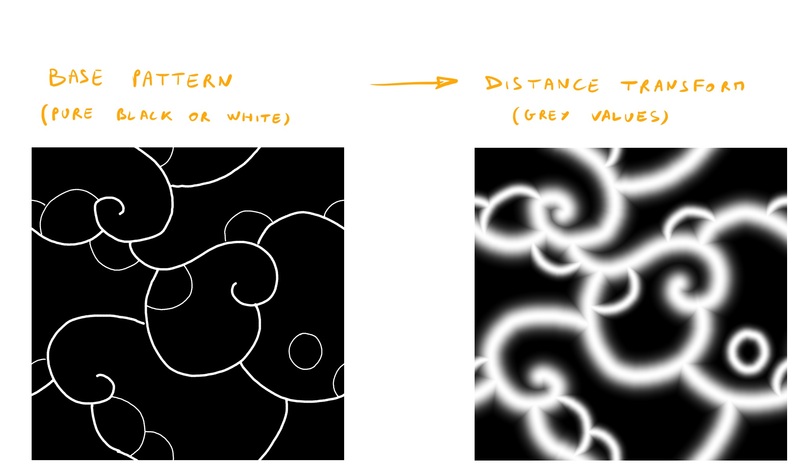 But if I use a pure binary texture for foam connection on top of the generated sinus waves, I have no control at all on the "vanishing" of this texture. That's why I chose to use a distance transform texture. Well, actually, I used an inverted distance transform here, because it's more convenient for the clipping phase, but you get the idea ;) And yes, I used a different pattern than the previous one. Use a soft brush with a linear falloff from 100% to 0%, so that the maximum value range is used, which will result in smoother animations. Actually, the falloff will act as an "ease in/ease out" parameter for the animation. Activate the "Wrap Around" mode to create seamless textures (as I paint a lot of textures, this is my favorite option in Krita). Directly painting a seamless distance transform texture. Notice the "X" pattern appearing on the intersection, this is typical of a distance transform image. 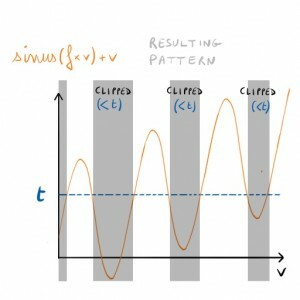 Of course, this is a very "mathematical" way of approaching this idea. You can always draw with the default soft brush and get something totally OK (even more natural I think), but you have to always keep in mind that you are "painting an animation" (never thought I would say that one day). tex(xz); clipped at a certain threshold t; Now I can control the width of the pattern by changing the clipping threshold for my hand painted foam texture. The final result mixing procedural and hand drawn foam: ratioSinus * [sinus((frequency+noise(xz))*v + speed*time)+v] + ratioTex * [tex(xz + noise(xz+noiseSpeed*time)+texSpeed*time)+v]; clipped at t.
In the end, I also added a few parameters to control the noise amplitudes and scales/frequencies, so each noise(xz...) is in reality noiseAmplitude*noise(noiseScale*xz...). This gives more control on all the deformations happening. I also replaced the simple "+v" with the more versatile affine function "+a*v+b". If I move vertices, the mapping will still be OK. If I add vertices with a loop cut, the uv mapping for the new vertices will be automatically interpolated from their neighbors, resulting in a good v coordinate. 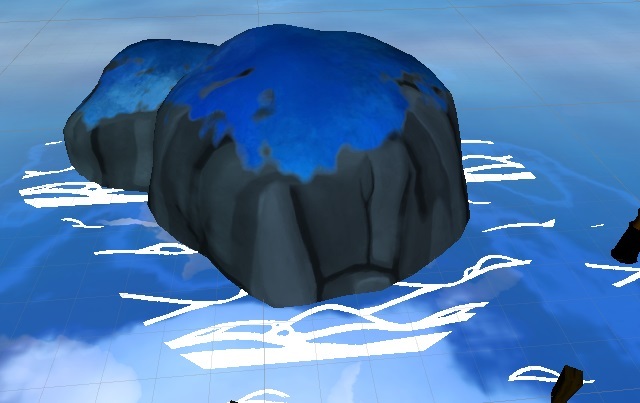 This would not have been the case if I had used the u coordinate to make more classical texture mapping, because any move of vertices along the shore edge would have stretched the texture (and I would have had the seam problem for each new island). Layering two or more hand painted foam textures, with different speeds and scales to create a unique pattern everywhere. Put the time offset through a sinus to make waves come and go. Right now they only go away from the shore. By the way, I didn't speak at all about optimization here, and there is surely some work to do about it (especially on noise textures that could fit on fewer channels than a full RGB image). Anyways, this was a nice journey to me, and even if the result is not super awesome, I really enjoyed the process of mixing a bit of maths with more arty considerations. I hope this will help somebody out there! Thanks for reading! Peace!